The trend of creative organizations looking to collaborate across multiple locations is continually increasing. This should not come as a surprise: as more jobs can be done from any location with an Internet connection, it only makes sense to leverage the best and brightest the world has to offer, regardless of where they reside. But for organizations working with video, this presents a problem. 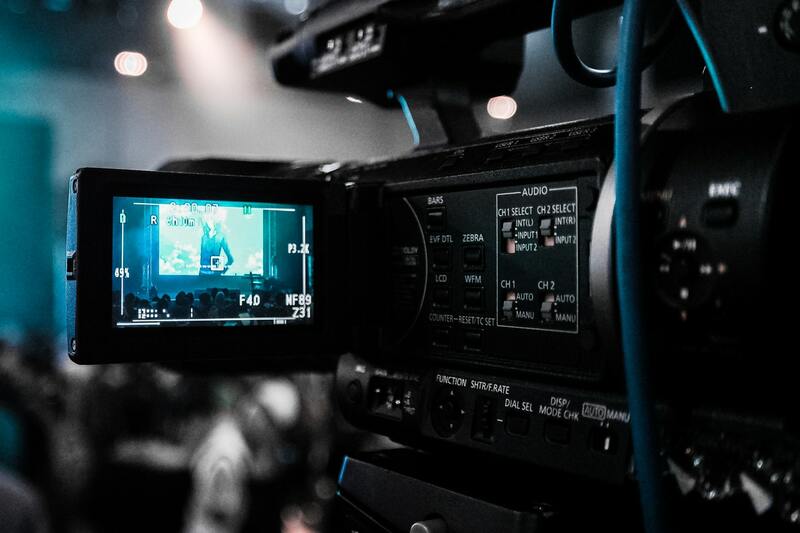 Unlike text documents or image files, video footage is challenging to share over the Internet. Throughout the course of an entire project, hundreds of gigabytes need to be shared across long distances. For companies working on dozens of projects simultaneously, this is unacceptable. Enter Evolphin Zoom. The Evolphin Zoom Media Asset Management (MAM) solution lets editors collaborate on videos with anyone in the world, seamlessly. In our first example, a creative agency wants to sync media assets between their New York and Los Angeles Offices. Until recently, this proved to be challenging, given that their MAM along with all their media files were stored in on-premises shared network storage. This meant that the only practical way to share footage between offices was to use a file sharing service like Dropbox or Google Drive. This was less than ideal, as sharing files in this manner added hours to the collaboration process, resulted in disorganization and poor version control, and raised several security concerns. In contrast, the Zoom MAM makes collaboration between cities simple, using Evolphin’s revolutionary Zoom Nonstop feature. Zoom Nonstop keeps the Zoom databases in different locations–whether they be in the same office, different cities, or halfway across the world–in sync and exactly mirroring each other. Because all images, documents, project files, and low-res video proxies are stored in the MAM database, they are synced between locations as well. In our NY/LA example, let’s say the high-res video is stored on a SAN in New York, but a coworker in LA needs to start the edit. Since the low-res proxy files of that media is synced from the New York Zoom database to the database in LA, the LA-based editor can begin her edit using the proxies and sync her Adobe Premiere project with the MAM in LA. Zoom Nonstop keeps her project synced to the database in New York as well. When she is done, an editor in New York can open her project and see the latest cut. Using Evolphin’s plugin for Adobe Premiere, the New York editor can click a button and instantly swap all of the low-res proxies used in the cut for the high-res versions stored on the New York SAN. Then she can export the video and presto! The video is exported in full resolution using the the high quality video files. If your main concern is getting footage reviewed and approved without the need for editing, things become even simpler. Evolphin’s Zoom’s Collections feature lets users view and comment on work in-progress through a web client—no download required and viewable in any desktop or mobile browser. Our second scenario is similar to the first, but with a twist: the two offices both need access to the high-res footage. In this case, Zoom works with Aspera to provide ultra high-speed data transfer between locations. Aspera leverages existing WAN infrastructure and commodity hardware to achieve speeds that are hundreds of times faster than FTP and HTTP. The catch? It’s not nearly as affordable as working with low-res proxies in the cloud. But for organizations that need high-res footage in multiple locations, it provides a feasible alternative to traditional file sharing solutions. Zoom is also ideal for large enterprises who need quicker collaboration and superior version control, but require all assets to remain on-premises for security and regulatory compliance purposes. In this scenario, multiple in-office MAM databases can be synced in real time, with changes in one office replicated in another instantly and automatically. This ensures everyone has access to the most up-to-date assets. It also provides organizations with the same web-based review and approval capabilities, but requires collaborators to remain inside the company’s firewall to access the Web Collections. Another benefit of Zoom Nonstop is that a company’s database will remain safe and secure in the event of hardware failure or other unforeseen problems. With multiple Zoom databases remaining in sync, if one goes down, the other takes over and the team can continue using the Zoom MAM in their creative process. Once the first server is back up, the new changes are replicated back to it and everything will be in sync again. Evolphin Zoom MAM has the potential to save teams hundreds of hours each year while ensuring best-in-class security. Get in touch today to learn more about how.